Tape will be released via MONOTONSTUDIO RECORDS & GRIMOIRE CVSSETTE CVLTVRE (USA) in December 2015 (Pre-Order starts in November). Vinyl comes through Sickmangettingsick Records (GER) and CD will be prepared by Les acteurs de l'ombre Productions (FRA) in the beginning of 2016. More cohesive, more dynamic in its scope, and more personal in its lyrical focus, the album represents a significant step ahead for a band who have already made a big impact in a short space of time. Though Wildernessking’s already demonstrated talent for writing sweeping, impassioned, and memorable melodies is still very much in evidence, what we’ve heard from Mystical Future is even more dark, intense, and electrifying. The music combines the harrowing ferocity of black metal and searing, acidic vocals with vibrant, multi-textured melodies that will send listeners on a dramatic journey through shifting moods they won’t soon forget. 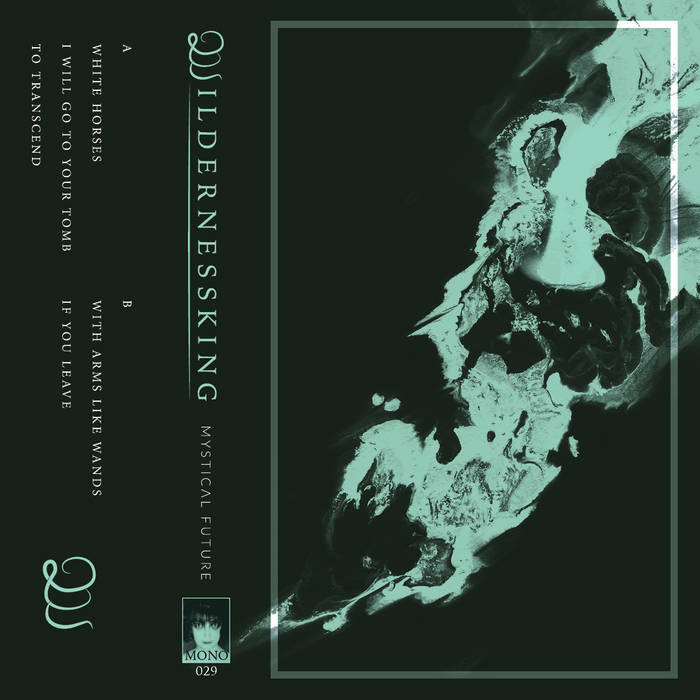 It’s an album that’s ambitious in its conception and truly impressive in its execution, and it will undoubtedly further elevate Wildernessking’s reputation as a band to watch very closely. Half of them cassettes are already gone. Official video and full stream in January!